Collating UK population monitoring data. 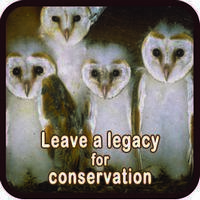 Identifying priority areas for Barn Owl conservation in Britain. Survival of released captive-bred Barn Owls. 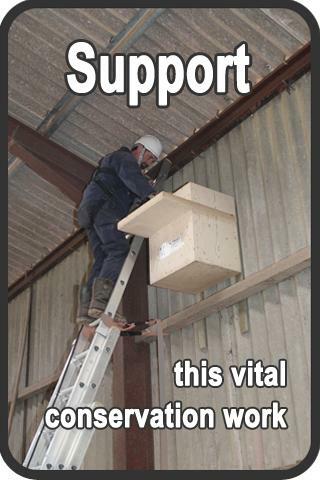 Every year, from October to February, Barn Owl Trust staff and volunteers are out and about erecting nestboxes. In fact, since 1988 we’ve put up well over 1,500. Every opportunity is taken to advise site owners on creating foraging habitat (to boost the owls’ food supply) and safer rodent control (in an effort to reduce poisoning). We cover Devon and most of Cornwall. 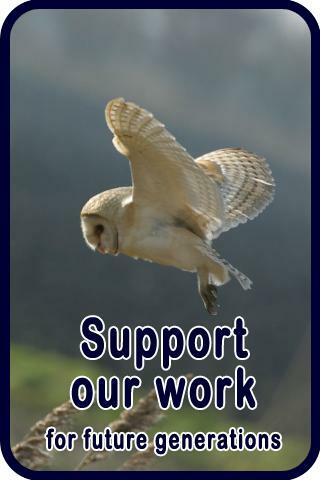 In other parts of the UK we liaise with a wide range of independent Barn Owl workers, volunteer Barn Owl Groups, and various county-wide projects. In our own study area we’ve been checking around 80 sites every year since 1990 and accumulated over 22,000 Barn Owl records. Data is also gathered through the use of BTO rings and subsequent ring recoveries reported by the public. This information underpins our research projects and evidence-based conservation work. Across the UK, at least 7,000 potential nest sites are visited every year by a wide range of independent people, groups and projects. As a result around 2,500 broods of young Barn Owls are recorded annually. In 2013 we launched the UK Online Barn Owl Survey and in 2014, for the first time, we collated data kindly provided by 26 independent monitoring groups and published the ‘State of the UK Barn Owl population 2013‘. See the latest UK population figures. Mike Toms, British Trust for Ornithology. Coordinator of the last national Barn Owl survey: Project Barn Owl. 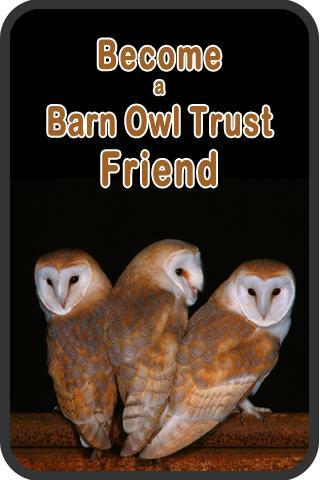 Publication of the Handbook was a huge milestone for the Barn Owl Trust – it took us over two years to write! 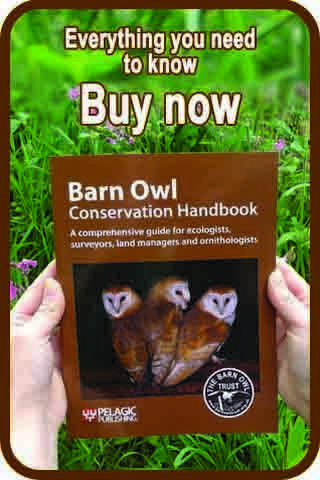 The Barn Owl Conservation Handbook is now considered essential reading for ecologists, planners, land managers and ornithologists. Get your copy from our online shop. In April 2001, out of the blue, we received an amazing legacy from Mrs. Vivien Lennon. By chance, a few weeks later, we found out that the only field next to our base on the edge of Dartmoor was to be sold. In October 2001, using most of the money we’d received from Vivien’s estate, the Barn Owl Trust became a landowner for the first time and set up the Lennon Legacy Project; ‘Transforming 26 acres of intensively grazed sheep pasture into 26 acres of Barn Owl Heaven’. 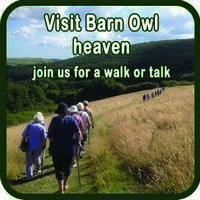 Our aim was not only to create perfect Barn Owl habitat but to encourage as much other wildlife as possible. The resulting biodiversity gains have exceeded all expectations. The land’s transformation continues to inspire those who attend a guided walk or hear about it in a presentation. Read the full Lennon Legacy Project story or see what’s been recorded recently on-site in our Wildlife Diary. Hedge re-creation and restoration (LLP). Stone-faced bank and orchard re-creation (LLP). Until 2003, many people thought that the high numbers of young Barn Owls dying on trunk roads each autumn was unimportant because so many die at that time of year (i.e if they’d not been killed on the road they would probably have died anyway). We questioned this view, researched the circumstances surrounding Barn Owl road deaths using data we had been collecting for 15 years, and proved that main roads mainly kill those that should have survived. Indeed, it was our report ‘Barn Owls and Major Roads’ that first established the true importance of road deaths, and offered the solution! The effect of site loss on local Barn Owl distribution and status. The usefulness of incorporating provision for Barn Owls into conversions. Overall site availability and the rate of site loss due to conversions. One of the important findings of our study was that the resident owls abandoned several sites when one occupied site was lost. However, where provision for Barn Owls was incorporated into conversions, the birds generally stayed. In 1995, part-funded by English Nature (now part of Natural England), we produced ‘Barn Owls on Site – a guide for developers and planners’, the first guidance to be sent to every Local Authority Planning Department in Britain. Our latest guidance is Barn Owls and Rural Planning Applications – a guide 2015. One of the difficulties faced by Barn Owl workers until 2006 was the lack of information on the species’ habitat requirements. Although rough grassland was well known as the species’ optimum foraging habitat, the simple question “How much do they need?” could not be adequately answered. The answers were provided in a collaborative research project with the Environment Agency, English Nature, Central Science Laboratory and the University of York carried out by Nick Askew PhD., principally funded by the Barn Owl Trust. As a result of this ground-breaking research you can now find out if your area is suitable for Barn Owls, and read about the amount of rough grassland needed by Barn Owls in different landscape types. Find out how we identified priority areas for Barn Owl conservation in Britain. It was a common thought that Barn Owl nest sites were limited by altitude. However, in 2011 a Plymouth University student, Chris Batey, researched this further using a substantial data set provided to him by us. He suggested altitudinal distribution of Barn Owl sites wasn’t such a cut-and-dried issue and perhaps other limitations were in play, such as site availability. As well as proving a very valuable asset to our Conservation Team his research was well received by his university, and rightly so. Chris worked hard on the project, and his on-going liaison showed great commitment. Chris was very pleased with the final outcome, as we were for him. A short paper of his work was published in the August 2013 edition of British Birds (Volume 106). Gain the cooperation and support of the site owner and all those who manage land within 1km. 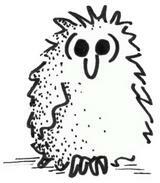 Make the nest place as safe as possible, often by erecting a deep nestbox. Find a patch of rough grassland, tell the landowner what’s good about it, and advise on habitat improvements. 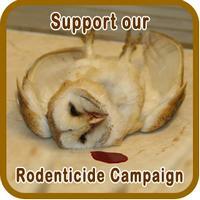 Discuss secondary poisoning by rodenticides and advise on safer methods of rodent control. Prevent owls drowning by making safe all open water containers (e.g. cattle troughs) within 200 metres of the nest. Create a nearby permanent alternative nesting place as a back-up (e.g. erect a deep nestbox inside a building). The first of five such schemes we carried out was the South Hams Barn Owl Scheme (1997-2000) and the most recent was the Westmoor Barn Owl Scheme (2009 – 2010). 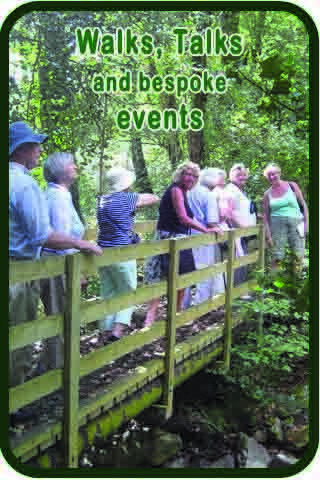 Each project was set up as a partnership between the local authority, ourselves, and the county Bird Watching and Preservation Society. 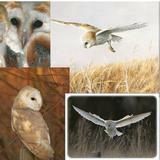 The 2003 Devon Barn Owl Survey Report provides evidence that these schemes succeeded in boosting Barn Owl numbers. How do Barn Owls use the typical farmed landscapes? Do they hunt mostly along hedges? Do they only hunt over grassland? To what extent do they use arable land? We carried out our first radio tracking study in 1998/1999 in collaboration with Spanish university students. Unfortunately, we encountered major practical problems caused by equipment limitations and the effect of extremely hilly terrain and wet weather. However, we learned a huge amount about the practical problems of radio tracking. In 2008 we radio tagged 9 nestling Barn Owls in order to study their dispersal behaviour. Almost a year later we were still tracking one of them. In 2009 we tagged and tracked a further 3 nestlings and successfully followed their dispersal. In 2009 and 2010 we carried out a joint project with the Barn Owl Foundation (Hungary) and radio tagged breeding pairs in Hungary and England to determine home range sizes and compare temporal activity patterns in relation to weather. Our 2008 and 2009/10 projects were in collaboration with Ambios, a not-for-profit organisation that secures funding for voluntary trainee placements and the transference of skills across Europe. 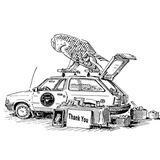 We are very grateful to Brian Cresswell at Biotrack for all his assistance. Results from our radio tracking studies are featured in the Barn Owl Conservation Handbook. Take a look at our radio tagging and tracking gallery. 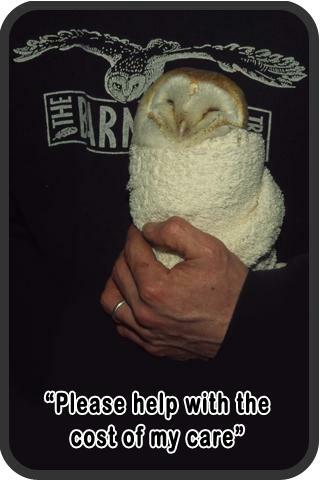 Please be aware it is illegal to release captive-bred Barn Owls into the wild without a licence to do so. Barn Owl reintroduction involves the deliberate release of captive-bred birds into an area from which the wild population has been lost with the long-term aim of establishing self-sustaining wild birds. Our breeding and release project was one of the few such schemes that included extensive survey and monitoring work at every release site (both before and after), detailed record keeping, and the BTO-ringing of all birds prior to release. In 1989 we produced the first-ever report on the release of captive-bred Barn Owls in Britain comparing their survival with that of wild birds in the same region during the same years. This work resulted in us joining the Nature Conservancy Council Barn Owl Liaison Group, and later the Department of Environment (DoE) Barn Owl Working Group. At the request of the DoE (UK government), we produced the first ‘Code of Practice for the release of captive-bred Barn Owls’. Our breeding and release project continued until 2001 when the Department for Environment, Food and Rural Affairs (DEFRA) carried out a review to determine if the expenditure involved in administering their licensing system for all UK release schemes (estimated at £60,000 per annum) was a good use of public funds. For the purpose of this review we produced a second Barn Owl Trust Reintroduction Report detailing the release of 223 birds from 41 sites over a 6-year period. This showed that released birds can survive and that our own release project had made a positive contribution to Barn Owl conservation. However, DEFRA decided to dismantle the licensing scheme, which effectively stopped the release of captive-bred Barn Owls in Britain. Our Second Re-introduction Report is a unique source of further information on this topic. It contains a comprehensive literature review and highly detailed information on release methods for captive-bred Barn Owls, as well as figures on the survival rates and site fidelity of 223 released birds.